Security Archives » Dogsbody Technology Ltd. So its 2019 and the new years resolution are on hold; Veganuary is over and Marie Kondo is helping us declutter our servers lifes. We expect a few new website and apps have caught your attention and you’ve created an account using a unique strong 12+ character password. Right? Unfortunately data breaches are as prevalent now as they ever were. If you are still trying to memorise all your passwords, or writing them down, or the big no no, reusing them then make 2019 the year you improve your relationship with passwords. Today we are talking about Password Managers as a method of creating and storing your passwords. A password manager is an app, device, or cloud service that stores your passwords in an encrypted vault that can only be unlocked with a single master password. This means you only have to remember one ultra secure password not 100’s. The video below (from 2017) clearly explains why you should stop memorising your passwords and why a password manager maybe a great first step to managing and securing them. The password manager creates the random passwords for you – A password manager isn’t a place to store your own made up passwords, its a place to create random computer generated ones. I don’t even know my own passwords, I just know one master password. A password manager can store other information too – for example – the security questions some websites ask you for, mothers maiden name, first pet, first school, where you meet your husband/wife, provided these aren’t being used to prove your identity, can be completely fictitious and different for every account you set up. Our other blog on Multi -Factor Authentication explains about a further level of security you can use if offered. A poll in 2018 saw more than three quarters of 2,000 UK adults do not see the point of ‘unnecessary’, ‘overly complicated’ internet security measures, ironically 46% had been victims of banking fraud. I’ll let you draw your own conclusion! Don’t let this be you, even if a password manager doesn’t appeal at least use unique strong 12+ character passwords. With a password manager you can have easily have a 64 character password and it will 4 untrigintillion years to crack. If its easy to create and “remember” why wouldn’t you. And finally why 12+ characters? A 12 character unique random password would take a computer about 3 thousand years to crack, however this true story from 2017 proves to us that it could take a whole lot longer. Always be aware that a 3 thousand year password may well be a 300 year password in 10 years time so the more characters the better. https://www.dogsbody.com/wp-content/uploads/security-2168233.jpg 4120 6500 Claire Christmas https://www.dogsbody.com/wp-content/uploads/Dogsbody-site-logo-1.png Claire Christmas2019-02-19 11:22:002019-02-19 11:22:00Password Managers: What, How & Why? From 15 Mar 2018 Google Chrome will start distrusting Symantec SSL Certificates. Over the past few years various concerns have been raised regarding Symantec’s process for issuing and revoking SSL certificates. As a result Google Chrome have announced that they will be distrusting SSL certificates issued by Symantec. It is important to note that since Symantec’s root certs are used by other certificate authorities the following will also be affected: Equifax, GeoTrust, RapidSSL, Thawte, and VeriSign. In order to restore trust in future Symantec issued SSL certificates DigiCert have acquired Symantec SSL. Certificates issued after 1 Dec 2017 will be signed by DigiCert’s managed partner scheme and as such will remain trusted by Google Chrome. Google are currently planning to distrust Symantec SSL Certificates in two main phases – the release of Chrome 66 and the release of Chrome 70. If your site is using an invalid SSL certificate your users will receive a security warning. Since Google Chrome currently makes up over half of the browser market (you can check your analytics as exact percentages vary depending on your industry) it is likely a large proportion of your users will receive errors when visiting your site. Mozilla have announced they will be following suit. How to check if your site is using an affected cert? In the “Console” tab you will see the a warning if your certificate will be distrusted by a future Chrome release. What should I do if I am using an affected cert? Affected Certificates purchased before 1 Dec 2017 will be need to be re-issued before Chrome 70 beta which will be roughly 13 Sep 2018 or Chrome 70 stable release which will be roughly 23 Oct 2018. Your certificate may be going to expire before it is distrusted in Chrome in which case you don’t have anything to worry about since any certificates issued now will remain trusted. If your certificate will be distrusted by Chrome before you would normally renew it then you will need to have it re-issued luckily this won’t cost you anything except the time it takes you. If you are one of our customers then you don’t need to worry as we will be contacting you if any of your servers are affected. If anyone else would like us to check if they are affected or help with the re-issuance process contact us. On 3rd January 2018 engineers around the world scrambled to respond to the announcement that most CPUs on the planet had a vulnerability that would allow attackers to steal data from affected computers. Almost two weeks later and we do know a lot more however the outlook is still bleak. Almost definitely. While only Intel CPUs are affected by the Meltdown vulnerability (CVE-2017-5754) CPUs made by AMD, ARM, Nvidia and other manufactures are all affected by the Spectre vulnerabilities (CVE-2017-5753 & CVE-2017-5715). Additionally, Spectre is a collection of vulnerabilities. Only two of the easiest to implement attacks are currently being patched for. There are literally hundreds of ways to exploit Spectre and many do not have an easy fix. The Spectre collection of vulnerabilities are responsible for the slowdown of CPUs in your computer as they target a major part of the CPU responsible for the speed (speculative execution). There are a few exceptions for CPUs not affected by these vulnerabilities however so far these have all been low powered ARM devices such as the Raspberry Pi. Technical overview from Google Project Zero. You replace your CPU. Seriously! This is currently the only 100% guaranteed method to be free of these vulnerabilities. However, that there currently aren’t actually any replacement CPUs that aren’t vulnerable! This issue may speed up some providers depreciation of old technology. Patches for the Meltdown vulnerability have been made available for all major operating systems now. Make sure you have installed and rebooted to ensure that the patch is loaded in. If you are using any sort of virtualisation or cloud infrastructure then make sure that your host is patched too. Most cloud providers are announcing reboots at very short notice. Patches for the Spectre vulnerabilities are still dribbling out and new patches will likely be required for years to come as new fixes are developed. The current two Spectre patches include a microcode patch for the actual CPU firmware. This firmware update should still be shipped out via the standard operating system updates. 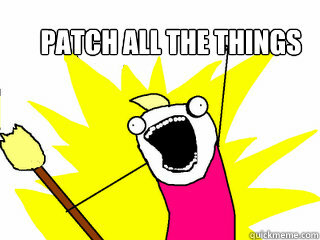 These patches will also require systems to be rebooted (again). Don’t worry, we got you. We are actively working with all our customers to patch systems and mitigate issues. Between Aug 2016 & Jun 2017 – Multiple vulnerabilities are discovered and published by multiple researchers, mostly building on each others work. 01 Feb 2017 – CVE numbers 2017-5715, 2017-5753 and 2017-5754 are assigned to/reserved by Intel to cover these vulnerabilities. 01 Jun 2017 – The two attack vectors are independently found by Google’s Project Zero researchers and researchers from the academic world which are shared with Intel, AMD and ARM. Sep 2017 – Google deploys fixes in their Linux based infrastructure to protect their customers. Google proposes to pass the patches upstream to the Linux kernel after the public disclosure of Spectre/Meltdown. 09 Nov 2017 – Intel informs partners and other interested parties under Non Disclosure Agreement (NDA). 20 Nov 2017 – The CRD (Coordinated Release Date) is agreed upon to be 09 Jan 2018 by the parties involved. 13 Dec 2017 – Apple releases iOS 11.2, MacOS 10.13.2 and TVos 11.2. These update contain fixes for Meltdown but that is not mentioned in the release notes. 15 Dec 2017 – Amazon starts sending emails to AWS customers, informing them of a scheduled reboot of EC2 instances on or around the 06 Jan 2018. People that reboot following that email notice degraded performance and start discussing this. 20 Dec 2017 – Jonathan Corbet publishes an article and remarks that the KPTI patches have “all the markings of a security patch being readied under pressure from a deadline”. 01 Jan 2018 – A pythonsweetness post appears, speculating about what’s behind the KPTI patches for the Linux kernel. 02 Jan 2018 – The Register publishes an article that puts enough of the information together. 02 Jan 2018 – Andres Freund posts to the PostgreSQL mailing list showing a 17-23% slowdown in PostgreSQL when using the KPTI patch. 03 Jan 2018 – Google breaks the agreed CRD and makes everything public. 03 Jan 2018 – Two websites are launched to explain the findings. The vulnerabilities are “officially” named Meltdown and Spectre. 03 Jan 2018 – Microsoft rushes out a series of fixes, including security updates and patches for its cloud services, which were originally planned for a January 9 release. 03 Jan 2018 – Amazon says it has secured almost all of its affected servers. 03 Jan 2018 – Google details its efforts to safeguard its systems and user data. 03 Jan 2018 – Intel acknowledges the existence of the vulnerability, but refutes reports implying it is the only chipmaker affected. 04 Jan 2018 – Media organisations such as the BBC pick up the story. 04 Jan 2018 – Apple confirms its iPhones, iPads, and Macs are affected by the Meltdown and Spectre vulnerabilities. 09 Jan 2018 – Microsoft confirms that patches rolled out to close Meltdown and Spectre security loops have caused PC and server performance slowdowns. Dogsbody Technology is happy to be a champion of National Cyber Security Awareness Month (NCSAM) to get everyone thinking about their security online. Online safety is our shared responsibility, and it starts with STOP. THINK. CONNECT. THINK: about the consequences of your actions and behaviours online. CONNECT: and enjoy the internet. We actively believe that security is not something you “do” (I’ve built this server now I’m going to secure it), it is something that has to be thought about as part of the culture of the business we are in. It is also something that has to be done at all levels of the business including customers and suppliers. Follow these basic tips throughout October – and all year-round! – to help protect yourself, your information and promote a more trusted internet for everyone. Own your online presence – Set the privacy and security settings on websites to your comfort level for information sharing. It’s OK to limit how and with whom you share information. Personal information is like money. Value it. Protect it. – Information about you, such as purchase history or location, has value – just like money. Be thoughtful about who gets that information and how it’s collected by apps and websites. Keep a clean machine – Keep all software on internet-connected devices – including PCs, smartphones and tablets – up to date to reduce risk of infection from malware. Get 2 steps ahead – Your usernames and passwords are not enough to protect key accounts like email, banking and social media. Turn on two-factor authentication (2FA) – also known as two-step verification or multi-factor authentication (MFA) – on accounts where available. Two-factor authentication can use anything from a text message to your phone to a token to a biometric like your fingerprint to provide enhanced account security. Share with care – Think before posting about yourself and others online. Consider what a post reveals, who might see it and how it could be perceived now and in the future. Declutter your mobile life – Most of us have apps we no longer use and some that need updating. Delete unused apps and keep others current, including the operating system on your mobile device. Back it up: Copy important data to a secure cloud site or another computer/drive where it can be safely stored. Password protect backup drives. Always back up your files before getting rid of a device, too. You can’t go wrong with the classic 3-2-1 Backup Strategy -3 total copies of your data, 2 of which are local but on different mediums (read: devices), and at least 1 copy offsite (for if your house/office burns down). Know what devices to digitally “shred” – Computers and mobile phones aren’t the only devices that capture and store sensitive, personal data. External hard drives and USBs, tape drives, embedded flash memory, wearables, networking equipment and office tools like copiers, printers and fax machines all contain valuable personal information. Clear out stockpiles – If you have a stash of old hard drives or other devices – even if they’re in a locked storage area – information still exists and could be stolen. Don’t wait: wipe and/or destroy unneeded hard drives as soon as possible. Empty your trash or recycle bin on all devices and be certain to wipe and overwrite – Simply deleting and emptying the trash isn’t enough to completely get rid of a file. Permanently delete old files using a program that deletes the data, “wipes” it from your device and overwrites it by putting random data in place of your information ‒ that then cannot be retrieved. For devices like tape drives, remove any identifying information that may be written on labels before disposal, and use embedded flash memory or networking or office equipment to perform a full factory reset and verify that no potentially sensitive information still exists on the device. Most of these suggestions just require time. There really is no excuse. Last week Troy Hunt publicised that a spam list of 711 million user records including email addresses and passwords had been leaked. Obviously this isn’t the first (and unfortunately) it won’t be the last time data has been breached, however this is one of the biggest by far. Below we explain why its important to check if your data has been leaked and how to perform those checks. One look at the list of Pwned websites (websites that have been breached – which they know about) shows the type of data that has and can be leaked. With every data breach more of your personal data is being leaked and can be pieced together by bad actors to access your online world. Phishing – Attackers now know that you use a service and so have a great advantage when sending you mail pretending to be from that service in an attempt to trick you into sharing sensitive information such as passwords, usernames, and credit card details. We can all identify spam mail from a bank we don’t use however it’s harder when the sender is someone we know. Password Reuse – A lot of these data breaches involve passwords as well as email addresses. The first thing that attackers will do is try and log into other accounts using the same login details from the breach. Being aware of what has been released at least give you a fighting chance if you have used the same credentials elsewhere. Whaling / Spear phishing – If you are unlucky enough to have had your data breached a number of times then it is easy for attackers to start to build up a profile for you. Specifically targeted spam e-mails can be sent to you and are much more likely to get past your subconscious mail filter. These can have life changing outcomes as recent conveyancing scams where thousands have been stolen from individuals has shown. How to check if you are affected? Information is power, not just for the attackers but for you too. By knowing when you have had a data breach (through no fault of your own) you can protect your brand and your business better. Individual email addresses – Sign up to Have I Been Pwned Notifications to check your email address and get notified if data associated with that e-mail is breached again. Domain owners – Sign up to Have I Been Pwned Domain search to check your domains. Subscribe so that you get notifications should anything else go public in the future. Being aware of what’s going on with your domain is important as its your online presence to the world. Dogsbody Technology maintenance packages all include reputation alerts for your IP addresses and domain name/s checking over 200 blacklists to ensure your IP’s aren’t blacklisted or showing up where they shouldn’t. Contact us to find out how we can help protect your brand as well as your servers. Feature image by bonjourpeewee licensed CC BY-SA 2.0.
https://www.dogsbody.com/wp-content/uploads/DSC_0912.jpg 615 1280 Claire Christmas https://www.dogsbody.com/wp-content/uploads/Dogsbody-site-logo-1.png Claire Christmas2017-09-07 11:04:252017-09-07 11:04:25Have you been pwned? A new vulnerability was announced today affecting all Linux servers (including OpenBSD, NetBSD, FreeBSD and Solaris, on i386 and amd64). The vulnerability allows local users to corrupt memory and execute arbitrary code. We are currently contacting customers to arrange for appropriate times to reboot servers and load in the new kernel. If you manage your own server we highly recommend you fully patch and reboot your server ASAP. If you are using a VPS server you will likely need to wait for confirmation from your VPS vendor that they have made a new kernel available. Do make sure that when you reboot you boot into the new kernel and not the old one. We are doing this for customers and have already had replies from some providers. Anyone using an operating system that is now end of life (such as Ubuntu 12.04) will have to upgrade their operating system. Some vendors do have additional support offerings. Canonical is offering Extended Security Support for Ubuntu Advantage customers which will cover this vulnerability. More technical information can be found in the excellent write up from Qualys who discovered the vulnerability. If you do not have a support contact in place with us and would like help with this please feel free to contact us. Feature image by Steven Lilley under the CC BY-SA 2.0 license. How will CentOS 5 end of life affect me? On 31st March 2017, CentOS 5 reaches end of life (EOL). We recommend that you update to CentOS 7. Just picking up your files and moving them from CentOS 5 to CentOS 7 will speed up your site due to the newer software. https://www.dogsbody.com/wp-content/uploads/endoftheline-e1467806432495.jpg 546 883 Rob Hooper https://www.dogsbody.com/wp-content/uploads/Dogsbody-site-logo-1.png Rob Hooper2016-09-29 11:19:562016-09-29 11:19:56How will CentOS 5 end of life affect me? HashGate is a simple intrusion detection tool we wrote for use internally and in customer environments to monitor files and alert us on any unauthorised changes to them. We try very hard not to re-invent the wheel and are already big users of tools such as Tripwire and Rookit Hunter but we wanted something lightweight for monitoring site files, not system files. HashGate is written in Python using only core modules and aims to work on all platforms that can run Python 2.7, not just Linux! Our main use for HashGate is for monitoring files on WordPress & Magento installations which more commonly are exposed to vulnerabilities allowing hackers to modify files. HashGate records the hashsum of all files in the specified directory and stores them for checking periodically, we run our checks hourly via cron. Other features of HashGate include whitelisting, which allows us to ignore files that frequently change and don’t need to be monitored such as WordPress’ cache files or Magento’s sessions directory. There is also VirusTotal checking, this is where HashGate will check flagged files hashes against VirusTotal’s database of malicious files to determine if the change was malicious or not. Due to the nature of VirusTotal’s API we’re only able to do 4 requests per minute so if lot’s of files are flagged it will add some extra time to hash checks. We have recently open sourced this tool and you can find some more information and a list of the full features and usage in the Github repo, if you feel something can be written better or there’s a feature you’d like to add we invite you to contribute and help us build a better tool. We make use of tools like HashGate in some of our server monitoring packages so be sure to check them out and get in contact if they could be of use. Dogsbody Technology maintenance customers are already protected against the newly disclosed DROWN attack, but as of the 1st March, 33% of all HTTPS sites are affected by this vulnerability. The DROWN (Decrypting RSA with Obsolete and Weakened eNcryption) vulnerability affects HTTPS and other services that rely on SSL and TLS, these cryptographic protocols that make security over the Internet possible. The attack affects all SSLv2 servers and allows attackers to decrypt HTTPS traffic during transfer letting them spy on traffic. In some cases encryption can be broken within minutes! For more information on the attack and research paper take a look at the official DROWN Attack website. Dogsbody Technology are Linux SysAdmin’s, building secure scalable reliable servers for the internet. We keep our servers up-to date and in doing so have already mitigated this attack. If you want your site checked or have any questions please contact us. In the past few days Google has identified a vulnerability in glibc (GNU C Library). It allows attackers to crash processes and potentially run code remotely on your server. glibc is a library which provides many basic functions and system calls to C programs. Since libraries are only loaded in when a program is started, this means that only daemonised (a process which is left running in the background) programs are effected. When those programs are restarted they will load in the new glibc library which mitigates the issue. This shows that glibc is tied into nearly every service on a typical Linux system. It can quickly become a large job to restart each process, especially in the correct order. The quickest way of doing this is by rebooting your server. Ensure the latest glibc packages are installed.